On February 5th, Facebook removed public access to country breakdowns for Page Fans for Facebook Pages that use Global Brand Pages. On Monday February 5th, Facebook removed access public access to 'Page Fans By Country' data via their API. We have been using this data to display Page Fans for Regional pages that are part of a Global Brand Page hierarchy. After this Facebook change, we will be unable to use this information in our product. On Monday the 5th of February, we'll reprocess our public competitive data to show the Global Page Fans for any Regional page within a Global Brand Page hierarchy. This number will be used for rollups into the cross-channel audience metrics in Rival IQ. Additionally, the Global Page Fans metric for these Facebook Pages in Rival IQ will serve as the basis for our engagement rate calculations. During next week, we'll also reprocess affected Facebook posts in our system to ensure they have engagement rate and fan metrics that match our aggregate metrics. This part of the reprocessing will take several days. During the reprocessing, the Facebook and Cross-channel engagement rate metrics in Social Posts may not match the numbers you see in your other dashboards. Please note: this will not affect the display of any of your private Facebook Insights data in Rival IQ. We'll use in-app notifications to indicate when we've completed each of these phases of data updating. I apologize that this message and the related product update are even necessary. Sadly, none of us can dictate what data Facebook provides or stops providing. If you have more detailed questions about how these changes affect your account, please reply to this note. 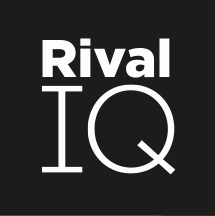 You can always reach us at support@rivaliq.com or by using the Intercom button in Rival IQ.